Habitat East Bay/Silicon Valley is a community in action. The Habitat for Humanity affiliate works to make affordable housing a reality the Bay Area. They have served over 8,000 people with their homeownership, home repair and home counseling services. Habitat for Humanity is a global nonprofit housing organization active in nearly 1,400 communities across the United States and in approximately 70 countries around the world. Habitat’s vision is of a world where everyone has a decent place to live. The Habitat for Humanity affiliate in East Bay/Silicon Valley faces particularly daunting challenges. The East Bay/Silicon Valley area has a fiercely competitive rental market, leaving many families at the whim of rental increases, fear of eviction and unsafe living conditions. An outdated design that masked the message to their target audiences. A hard to follow navigation that caused visitors to get easily confused and quickly leave the website. Low user engagement from their target audiences with very few conversion opportunities. Lack of a clear SEO strategy that ultimately led to missed opportunities for volunteers and donors from organic search. Difficulty in making on-the-fly website updates. The existing site was built on Drupal, making even the smallest of changes difficult for the marketing team. 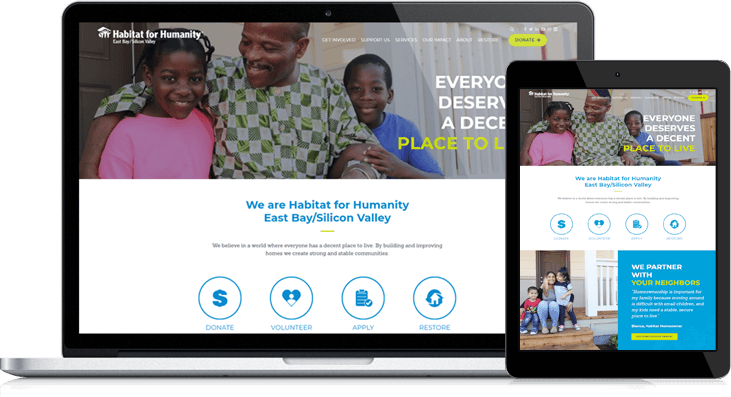 Habitat for Humanity EBSV realized the importance of having a new website to provide a more engaged user experience for their audiences. During their research, the Habitat team knew they wanted to move to a platform that allowed for easy updates and independence from their IT department. Even the smallest changes on their Drupal platform required help from IT and developers. 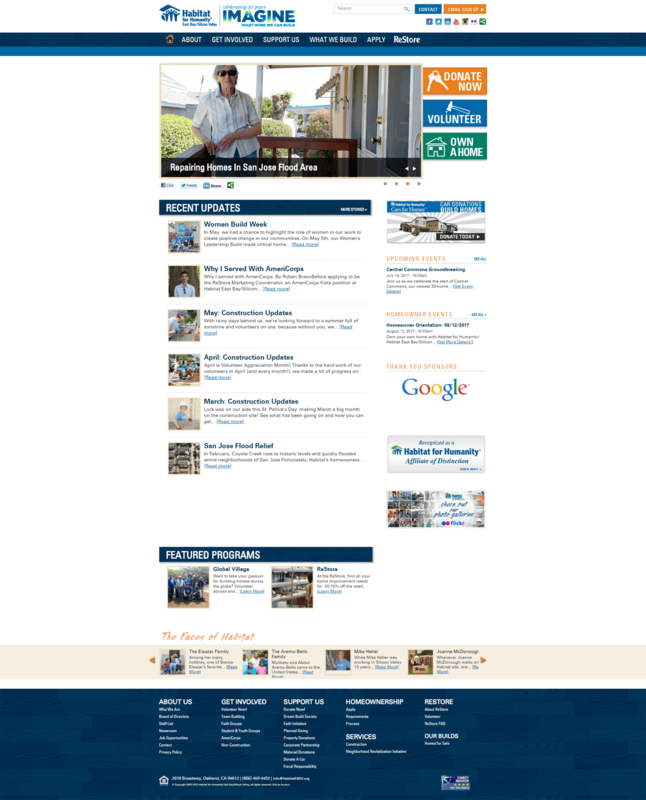 They began to look at other Habitat for Humanity affiliate websites and came across a HubSpot redesign LyntonWeb completed for the Twin Cities affiliate. After speaking with the Twin Cities’ marketing team, the Habitat EBSV team learned more about HubSpot and contacted LyntonWeb to discuss our redesign process. They ultimately decided to engage in a redesign with LyntonWeb using our Growth Driven Design approach as they felt that consistent website support and iterative A/B testing would offer the best experience for their site visitors. Before beginning design mockups, it was important to understand who the website would be targeting. Developing buyer personas provided insight to what content needed to be included and also how each persona would flow through the website. While we had worked with the Twin Cities affiliate, there are regional differences across the affiliates. For example, the San Francisco metro area is among the most expensive to live in the country and is host to many immigrant families. Through interviews with their internal marketing team, we developed buyer personas to target with content and messaging on the website. The questions covered the company overview, marketing goals, current marketing efforts, and understanding the people they serve from volunteers, donors and applicants. There were 3 main targets (volunteers, donors and applicants) with each persona having unique challenges and pain points. With these personas in mind, we were able to move on the strategy and site architecture of their new website. With every redesign, we spend time reviewing the current website analytics looking at top visited pages, bounce rates, time spent on website among other key analytics. We then develop a recommended site architecture with updated courtesy navigation and main navigation. The navigation changes we recommended for Habitat EBSV were directed at their main personas, allowing the specific personas to easily identify where they need to be on the website. The navigation allows visitors to learn how to get involved, how they can support Habitat, the services that are provided and the impact that Habitat EBSV has made for over 30 years in the community. Once the site architecture was finalized, we began to do keyword research to increase Habitat EBSV’s organic search traffic. The nonprofit landscape in the East Bay/Silicon Valley area is competitive, with many options for interested volunteers and donors. In addition, they are trying to educate potential donors on the need to give to local charities. The current site missed the mark with its existing SEO strategy, so we opted to research hundreds of keywords, finding the right ones to target on the new website. The final outcome was a content strategy document with recommended page titles, meta descriptions, and H1 tags that would drive qualified traffic to their new site. Just as a blueprint of a home must be finalized before beginning the design and build phase, a website redesign follows the same steps. Website wireframes are like home blueprints. This is when things begin to take shape. A wireframe is just a fancy word for a website outline. It makes up the basic structure (think skeleton or bare bones) of your website. We built wireframes for Habitat EBSV’s top pages to show an initial layout of the website and how it would be organized. Volunteers need to be able to learn about different opportunities to get involved and website imagery should make them feel inspired to take action. Donors should easily be able to locate giving opportunities, learn about the impact their donation will have and easily be able to donate in real time. Applicants need to easily find services and housing opportunities relevant to them in the area they live in. They need opportunities to receive more information about home counseling services, request home service or complete a pre-application for home ownership. With this in mind, we set out to create a modern, responsive nonprofit website based off of inbound marketing methodology and growth driven design principles and a site that could easily change and evolve with Habitat EBSV’s needs. 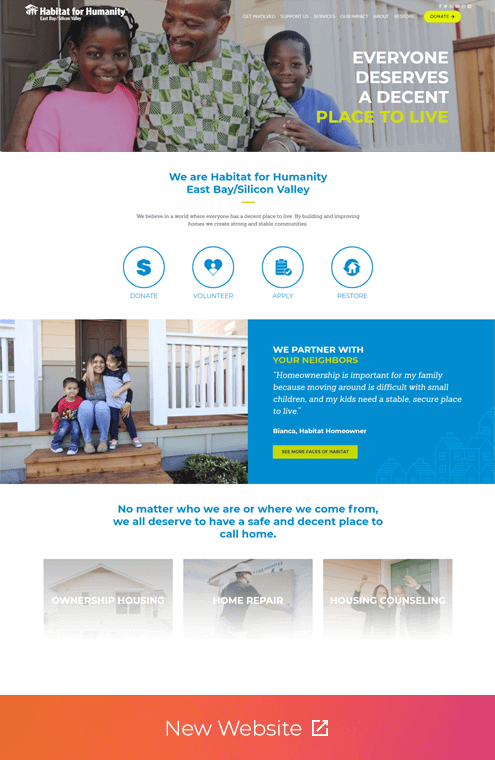 We wanted to capture the uniqueness of East Bay/Silicon Valley and the brand to create a site that would stand out amongst their peers and the Habitat for Humanity community. It was important to us to make sure we had the opportunity in the designs to highlight the people, their stories and the many volunteers of this community. As with most nonprofits, their stories and testimonials are truly the heart of what they do and needed to create that connection to ultimately impact volunteers/donors to take action. Once we understood their users we planned out a new structure and website templates flexible enough to support the many bits of content that needed to be clear, visual and easy to scan/read. After designing based on their updated branding standards, we developed HubSpot templates and trained the Habitat EBSV team on how to use them. One of the development challenges Habitat EBSV was faced with was presenting home repair services by area. Using HubDB, we were able to dynamically generate results based on county and city searches. We also used HubDB to dynamically generate Habitat EBSV's upcoming volunteer events. Using HubDB makes it easy for the Habitat team to add and maintain events. Website visitors can search events by month and category type. 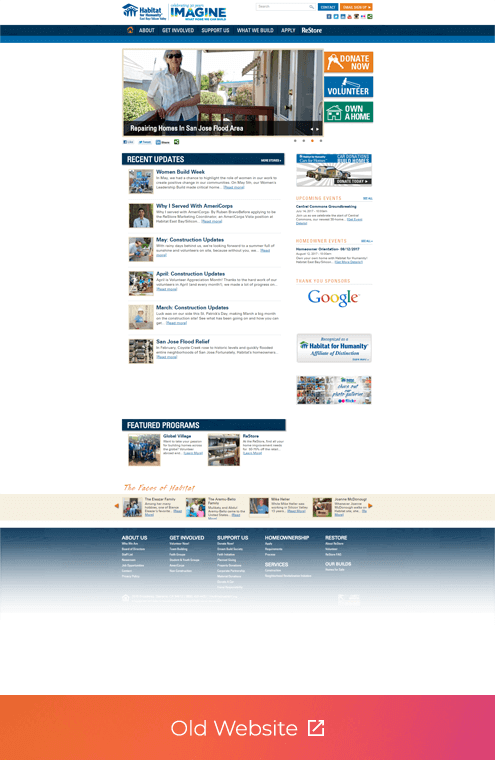 The website launched in February 2018. Since then the client moved into a Growth Driven Design approach, where we are making continual improvements to their website. With A/B testing site pages, this will ensure that the website will perform optimally for its visitors. With an inbound-friendly website to support their marketing efforts, Habitat EBSV is ready to get the ball rolling on meeting their goals. The new site launched February 2018 and is already showing value. There is increased growth from organic traffic in the same time period in 2017: a 6.22% growth in sessions and 2.91% increase in organic users. The goals for ROI don’t stop with traffic. Habitat has also set targets around home repairs, volunteer engagement and mailing list growth in 2018. Our team has no doubt that they will be able to meet each of these goals using proven inbound marketing techniques along with their new conversion focused website. "LyntonWeb is setting us up for inbound success by turning our website into a living piece of art. We have a very dynamic website that needs to cater to many different buyer personas - volunteers, donors, homeowners, etc.- and Lynton had the experience and knowledge to help us navigate and optimize an inbound website redesign. 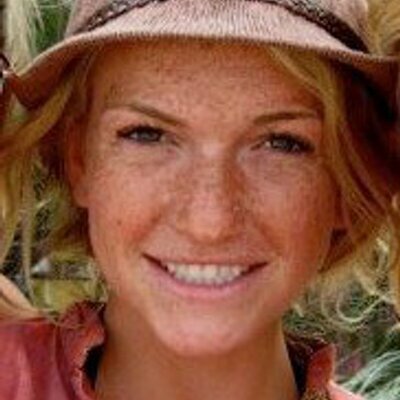 We are excited to continue working with their team as we start to utilize HubSpot more and more."